You begin with the killer curb appeal of clean, elegant plantings pulling you in to an exceptional entry. The landscape then opens up into a relaxing outdoor terrace. 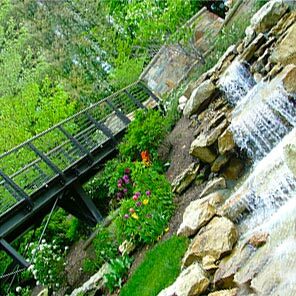 Pergolas, walls and natural stone combine to create stunning people places. A fire feature radiates a comforting warmth and the sound of crackling flames. Lighting emphasizes every unique detail of your personal oasis. Then suddenly from no where, as if a chorus of angels birthed from the beauty of your own backyard erupt into song: That’s right, it’s the guitar riff from Whitesnake’s ‘Still of the Night’ AND YOU LOSE YOUR MOTHER FLIPPIN’ MIND! 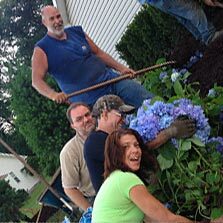 Landscaping is the heritage of our company and we are passionate about the nature of our work — from the textural artistry of great planting design to planting a uniquely inviting and fully functional outdoor living space or maybe an eclectic solution to designing your interior living space. To see your vision come to life you just have to make a list, like some of the items below. Also contact us, that’s equally as important.